Cleansing. The first, foremost and probably, the most neglected step of skincare routine. You are probably wondering how hard it is to cleanse your face, right? Wrong. Unless you are cleansing the right way with the right products, there really is no point of doing the rest of the skincare routine. If you haven’t removed your makeup, your sunscreen or your basic sweat and grime from your face properly, chances are your other skincare items won’t be able to penetrate through properly and do their work as effectively. This is where the recent, or maybe not so recent, double cleansing comes in. Double cleansing essentially means to cleanse twice (duh!). Once to remove makeup thoroughly and then, to remove any traces left and provide nutritious goodness to your skin. 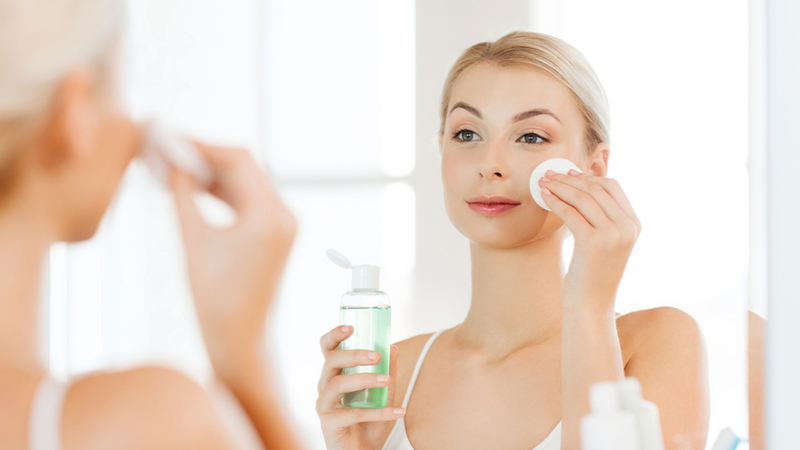 While cleansers spend the least amount of your time on your skin, as compared to the rest of the skincare items, their ability to clean your skin and/or harm your skin with its ingredients can pretty much ruin the rest of the routine. One of THE most effective cleansers out there. Balms, good ones that is, remove makeup easiest while providing some intense hydration. They are greasy and give you quite the slip to easily massage your skin to remove makeup without unnecessary tugging and rubbing. You get a good massage for your facial muscles, you get a good dose of hydration and you get to remove all traces of makeup in one go. Balms are usually used as the first step of double cleansing so it really doesn’t matter which skin type you have, unless you are allergic to any particular ingredients. Also, while brands claim to “emulsify” the balm with warm water to remove it from your face, we suggest using a washcloth/flannel to remove the product and your makeup. Follow it up with a second cleanse. If you find balms too greasy for your liking, opt for cleansing oil. They are essentially the same thing but in a liquid form and a little less greasy. Oily skinned gals, don’t worry. These oils/balms are only to remove your makeup. They won’t stay on your skin for long and will be followed up by a second cleanse so you don’t need to worry about breakouts. Cleansing oils help melt off makeup (especially waterproof ones) and lift it off your skin much more easily and effectively than makeup removing wipes and micellar waters. And, again a good massage with the cleansing oil will help boost circulation as you cleanse off your makeup. If you are really afraid of using balms and oils due to your oily skin or if you find the act of massaging a bit too tedious (especially on those late nights), then micellar waters are a good option for you. Simply, pour a little micellar cleanser of your choice on a cotton pad and wipe away makeup. You will need quite a few pads to remove makeup especially if you use heavy makeup. Repeat the step, till your cotton pad remains white after cleansing. Also, the tugging motion from the cotton pad might irritate some skin types. Foaming cleansers were quite the rage once for oily skin types. However, during recent times they have received flak for drying out skin with its harsh ingredients used to create the “foam”. If a foaming cleanser is not formulated the right way and uses harsh ingredients, it will not only remove the dirty oils from your face but will also remove the essential natural oils, giving your skin a dry, tight feeling. While this might feel good to the oily skinned gals, remember that the more dry your skin feels, the more oils your skin will produce. So pick a product that mattifies your face but does not strip it off to the point that your skin counteracts by producing more oils. Having said that, there are some foaming cleansers that do not dry out your skin and make it worse. You can use those if you have particularly oily skin and you like the foaming feeling for your skin. If you have oily skin, clay cleansers would be a better option for you. Clay is known for its oil pulling properties without drying out skin. These cleansers help purify your pores by pulling out toxins and excess – only excess – oil from your skin. Pick these over foaming cleansers and you will see the difference. If you find the clay and foaming cleansers too dry for your oily skin, choose a gel cleanser. These gel cleansers eliminate surface oils and give the skin a deeper clean by killing off the acne-causing bacteria. Remember to wet your skin before applying the cleanser since the gel is believed to be activated once it makes contact with water. As the name suggests, cream cleansers have a creamy consistency, usually in the form of lighter lotions or milk or thicker creams, making them perfect for dry skin types. These cream cleansers usually contain moisturizing ingredients, like plant oils, to help hydrate and plump skin as you wash the dirt and grime away. Essentially, exfoliants, these cleansers come in the form of a very fine powder. You are supposed to make a paste using water and then, use it to clean the face. These powder cleansers provide gentle exfoliation due to their consistency. These powder cleansers are quickly taking over the market of more abrasive scrubs and exfoliants that use grains or beads for exfoliation. Powder cleansers are perfect for all skin types, however, drier skin will benefit from them more since it removes the lackluster outermost layer of skin as you cleanse your face away. Bar cleansers took the back seat a long while ago due to their harsh pH values and drying properties. However, recently, more organic brands are bringing the bar soaps back, which are much more gentle and quite effective at not only cleansing the skin but providing nutrition to it too. The newer bar soaps have a more balanced pH value, have moisturizing ingredients and are a more green choice, due to the lack of harmful packing materials used, for those looking for such options. Next Post 7 Gift-Worthy Holiday 2017 Sets by Philosophy & A Giveaway!